To all the EC. readers and followers, this is to inform you all that the massive request to re-create a Whatsapp group for this great blog Entclass.com has been thought about and granted. The reason why the group was closed by January 5th was explained here. 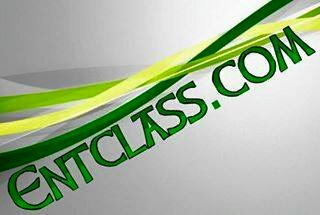 The Entclass.com Whatsapp group has been created and now active for members to share their opinion and request. The group will serve as a fast medium to disseminate any latest information, free browsing tweaks, latest phone reviews, prices, tweaking tutorials and so on immediately it is posted here in this blog. 1. Some of the information shared on the group will be directly proportional to what is posted in this blog. 2. Members of the group are free to share their user experience of this blog including challenges and success stories. 4. You must write your name on your Whatsapp profile immediately you are added to the group so that members will know you by your name or nickname for easy communication and references. 7. There must not be ethnicity difference in the group because all of us will automatically be one family no matter the part of the world you are joining from. 9. Members of the group should not think or expect everything on this blog to be explained word by word on the group. Rather it is just to give you notice that such a thing is fully explained in this blog at that time. Some premium services might be charged when you contact owner for such services. 10. You must not spam or share links to external sites, otherwise you will be removed from the group without notice. 11. Admins have the right and authority to remove any member who fails to comply with the above rules. Thank you. By submitting your number, you have agreed to the terms and conditions above. Submit your phone number in the comment box below. and you will be added.